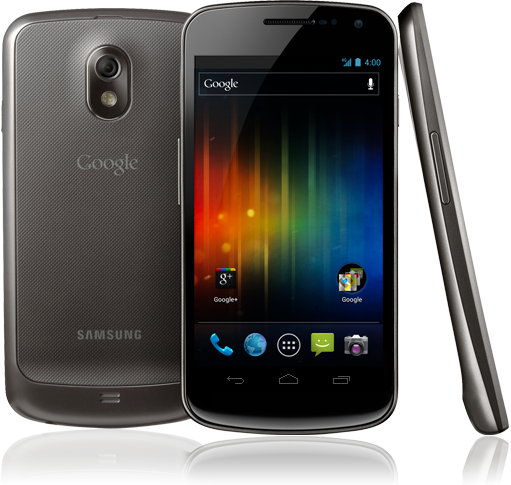 What Will Happen If Verizon Fails To Launch The Galaxy Nexus Tomorrow? It seems as though Verizon and Google have really screwed the pooch when it comes to the Galaxy Nexus launch. As of this very moment, we’re on our eighth rumored release date: tomorrow, December 15. The first was all the way back on November 3. In fact, these delays and the vague availability information provided by Verizon has led some to create a site entirely dedicated to whether or not Verizon has released the Galaxy Nexus. But will all these delays make a huge difference in the popularity of the device? After a chat with Forrester Research’s Charles Golvin, I’m comfortable saying probably not. But even with the blogosphere’s extensive coverage of the device, it probably won’t be a blow-out success, either. To start, the Nexus line has never made a huge splash upon launch. The Nexus One, released on January 5, 2010, only sold about 20,000 units in its first week of availability. For some perspective, the iPhone 3GS sold more than 1 million units in its first three days on the market after launching on June 19, 2009. The Nexus S did better, though official sales numbers are hard to find (not really a great sign). Based on Android 2.3 Gingerbread market share statistics, some speculate that as of February 2, 2010 (about 6 weeks after launch), the Nexus S had sold around 500,000 units. On June 24, 2010, Apple released the iPhone 4 which sold 1.7 million units in its first weekend. While half a million units sold in the first few weeks shouldn’t be considered a flop, the Nexus S wasn’t a runaway success by any means. And many of the users most excited about it, Nexus One owners, seemed disappointed by the new features in Gingerbread. If we learn from history, and common sense, the Nexus line is for geeks, not a mainstream audience. Let me put it this way. Since I work with phones every day, I often ask people what phone they own. About half the time they tell me their carrier: “Oh, I have a T-Mobile.” If I’m lucky, they know the brand. In fact, I’d venture to say that 98 percent of the people I come into contact with (who don’t own an iPhone or work in my industry) don’t know the name of their phone. Trying to talk about the OS version is a waste of time. Which brings me to my next point: Most of the world doesn’t give a damn about Ice Cream Sandwich. To the blogosphere, current Nexus owners, and all-around gadget geeks, Ice Cream Sandwich is one of the most exciting things to happen since… well, Gingerbread. But the rest of the human race doesn’t care. In other words, the Galaxy Nexus will appeal to the same market that was excited about Android 2.3, but the excitement won’t extend beyond that in terms of pulling in new customers. But there were some core features that might have made a dent in consumer enthusiasm. Even though NFC ubiquity is still months (if not years) away, Google Wallet is still a feature that in-store shoppers would at least want to learn more about. 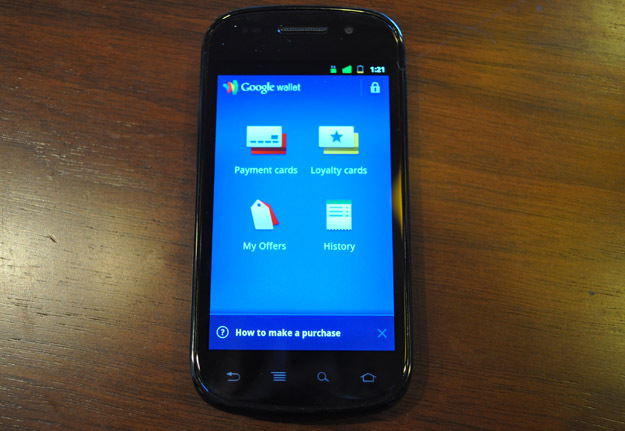 But now it looks like Google and Verizon are duking it out over whether or not Google Wallet functionality will even be included in the device. Then, of course, there’s the issue of carrier support. Golvin explained that typically there is only one (sometimes two) devices that get a primary slot from operators to support their launch. According to Golvin, Verizon is betting heavily on the HTC Rezound. This is because, like I mentioned before, the Galaxy Nexus is a niche device. Phone geeks will learn about the phone they want from us, or other various tech sites, whereas the mainstream consumer will decide on a phone based on TV commercials and massive ad campaigns. Right now, the Galaxy Nexus is lacking in that department. But it goes further than that, with regards to the carrier. Operators invest heavy marketing dollars into devices like, say the HTC Rezound, because they want differentiations that drive their own experience. Google products are not led by the carrier. “By definition, [Google phones] are intended to be the sine qua non of what the Android platform can do at that particular moment,” explains Golvin. In that way, Verizon (or any other carrier) doesn’t have reason to put a ton of money behind the Nexus launch. “Anything that is more Google-centric than it is Verizon-centric in that device is somewhat problematic,” said Golvin. And even if Verizon were 100 percent committed to the Galaxy Nexus launch, the whole thing has been a complete mess. We’ve gone through seven launch dates thus far, and I assume that tomorrow’s rumored launch won’t become a reality either. I put it to Golvin to see whether or not repeated delays on a phone dwindle consumer interest, bringing the Droid Bionic and the iPhone 4S in as examples. The iPhone 4S was expected this summer, but didn’t make its way to shelves until October 14. Still, Apple managed to break records topping 1 million pre-orders in the first day. The Bionic, on the other hand, took nine months to make its way from the podium to shelves and certainly didn’t make the splash everyone originally expected. I asked Golvin whether or not pushing back the Galaxy Nexus (over and over again) would have the iPhone effect, or the Bionic effect. According to Golvin the Nexus won’t do either. The Bionic was exciting to people because it was supposed to be one of the first LTE-capable handsets on the market. It got beat by the Thunderbolt, and subsequently launched as the first dual-core LTE handset on Verizon’s network. Unfortunately, that wasn’t enough to get the ball rolling. The Galaxy Nexus will still be the first phone with Ice Cream Sandwich, and thus, not run into the same trouble that plagued the Bionic.